Quality control (GB) Your browser does not support any audio element. This may also mean, if necessary, to ensure a low level of quality. The product may be material, as well as a service rendered or a procedure used. Also in viticulture quality controlling measures have been common for a long time, which presupposes corresponding standards. In the Spanish Rioja a document from the year 1650 already refers to a quality control. 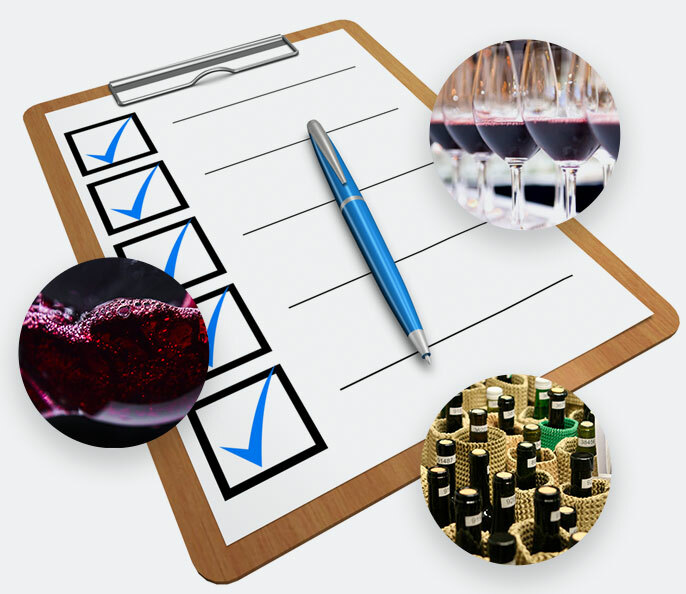 In the winemaking the production process is not just about self-evident prerequisites such as hygiene but as clearly defined, measurable criteria. The quality control begins already in the vineyard. A key point is, for example, setting the appointment for the vintage, The prerequisite for this is the best possible physiological maturity of the grapes, which is determined by different measuring methods. There are more checkpoints during the fermentation (for example degree of conversion of sugar in alcohol ), during the expansion (eg sensory Exams) and before the bottling by analytical tests (eg, determining alcohol content and total extract ). This page was last modified at 9 June 2018 at 19:46.